In 2018, the Maize Maze is back on, but in spite of it’s wonderful name, our maze won’t be made of maize. This 8-acre labyrinth will be cut into dense fields of sorghum. Sorghum is an old-world grain that produces a cereal crop. Sorghum is used primarily as animal-feed, but also in the production of beer, ethanol, and a southern specialty: sorghum molasses. Importantly for the use in a maze, sorghum also grows tall and dense, like a field of corn. In fact, sorghum mazes, and mazes made of other tall grasses, are sprouting all across the world, from Tazmania to Tennessee. The Rio Grande Valley is getting its own taste of sorghum the last two weekends in October, complete with paletas, food trucks, and educational programming by Explora!, the Audubon Society, the ABQ biopark, and more! “Sorghum uses less water, which is an important resource in the High Plains. Plus, it uses less fertilizer. Therefore, the environmental impact is much less compared with growing corn” says farmer Dale Artho in a 2015 interview with journalist Bill Speigel. 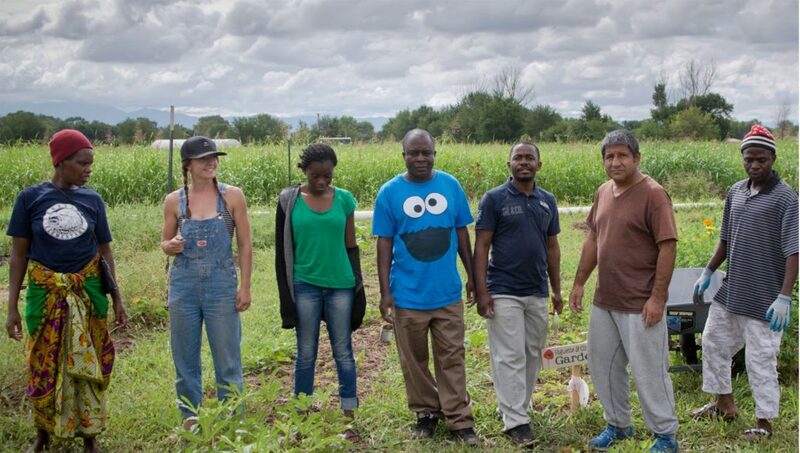 On the Rio Grande Community Farm, water is a precious resource. “A lot of the open space, including some of our land, is on the water bank, which means that, in drought conditions, water becomes increasingly unreliable,” says president Katherine Labate Wright. 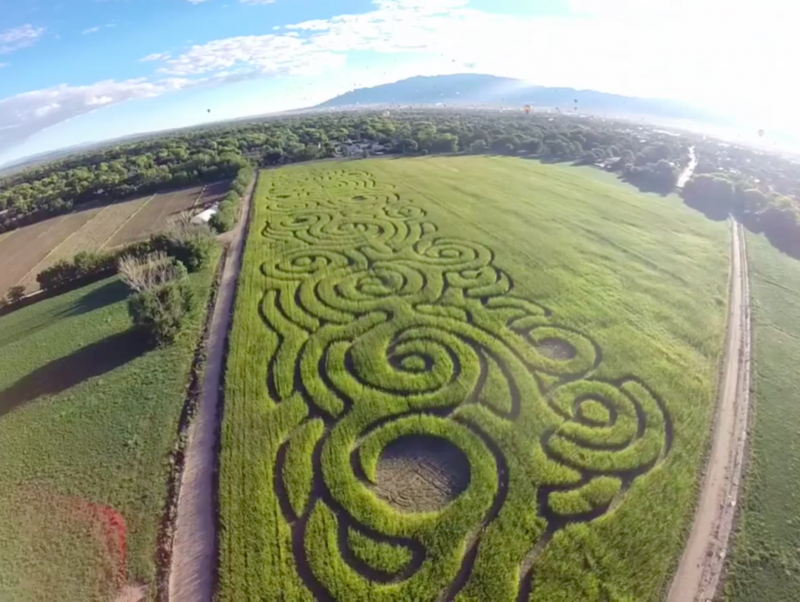 Last year the farm was not able to host the Maize Maze, owing to the drought. Since water was scarce, the water bank limited RGCF’s water use. Additionally, sorghum is a more heat-resistant crop than corn. With high summer temperatures and unreliable water, sorghum is a savvy farm’s way of adapting to the local, New Mexican climate. Finally, as part of RGCF’s mission to create and encourage wildlife habitat, the sorghum was cut only once to bail, and the regrowth is being left as forage for migratory birds and other wildlife. This means that, while you’re exploring the twists and turns of the Maize Maze, you’re likely to find some feathered visitors feasting in the sorghum fields!